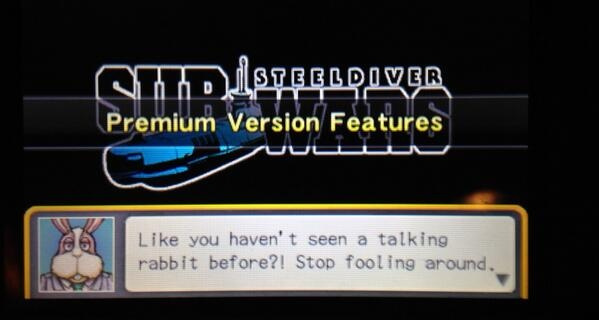 Steel Diver: Sub Wars will go down in Nintendo history, an honour perhaps exceeding its status as a very good download game — this is because it represents the big N's first full dalliance with free-to-play. Its February arrival on the 3DS eShop caused plenty of fascination, as a result, and it was a solid first entry to utilise the payment model, as the free offering was substantial enough to hook plenty in for the full experience. With a campaign and online multiplayer showing off its surprisingly enjoyable brand of slow-paced first-person shooting, it's still a title that can be spotted on some 3DS screens here in the Nintendo Life office. With the dust settled after its arrival and the free-to-play model having successfully avoided causing Nintendo fans to riot on the streets, we've had the opportunity to have a brief catch up with some of the key figures behind the project. We spoke to producer Tadashi Sugiyama and director Takaya Imamura, both from Nintendo, while development partner Vitei's Giles Goddard, who also served as program director, popped in to clarify his studio's role. We learn a little more about the most successful paid content aspects of the project, design choices that have helped it succeed and, notably, why we should stop looking for hidden meaning in the cameo appearance of Peppy Hare. Why did you pick Steel Diver as the basis for one of your first free to play releases? Sugiyama-san: We felt that this game is part of a niche genre of games about submarines, and as such we wanted to ensure as many people as possible could try this out and as such we felt it would be a good title to have as a free to play game. Given the game's free to play concept, did you have to approach development and design in a slightly different fashion to a typical title? 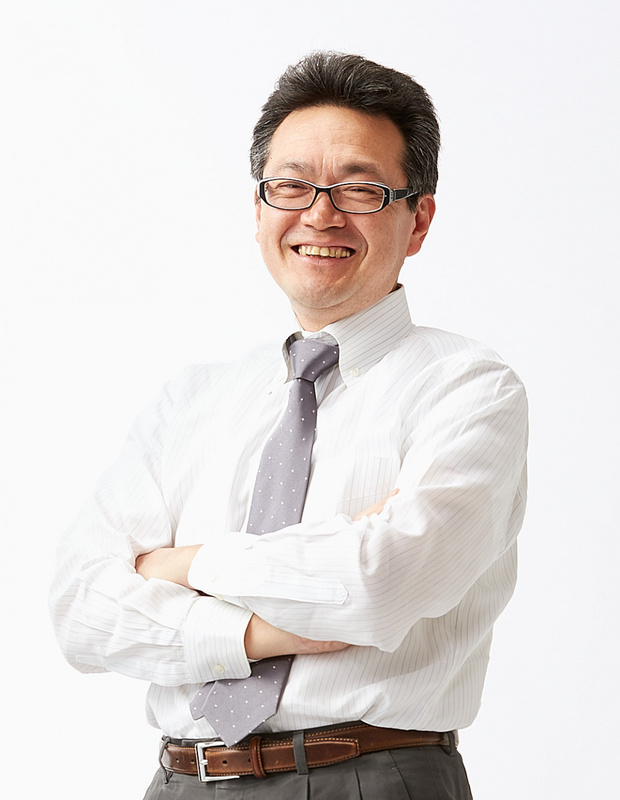 Sugiyama-san: We were adjusting the game right up until the end of development and as such thinking thinking about what to add to make it as fun as possible as a free game, as well as how to encourage players who do try it out to upgrade to the premium version and see the benefits of the premium version. Can you explain and clarify the working relationship between Vitei and Nintendo for this project? What was Nintendo's role in the process? Sugiyama-san: We have a long history with Mr Goddard of Vitei; he helped us in the development of Star Fox for the SNES. When we were first talking about the previous title, Steel Diver, it was Mr Miyamoto who wanted us to work together with Mr Goddard’s company, Vitei, on the project. Nintendo handled, for example, the direction and sound side of things, as well as providing programming support for the multiplayer. And what duties did Vitei handle during development? 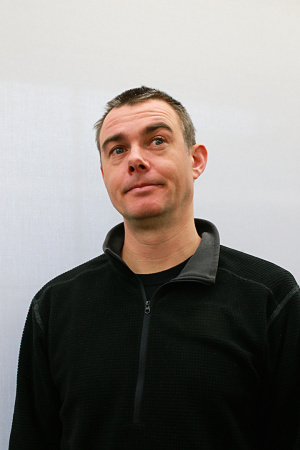 Goddard: Vitei handled the programming, graphics, level design and such. Can you outline some of the considerations and steps taken to find the right balance with the pricing and structure of the paid content, while encouraging interest with the free version? 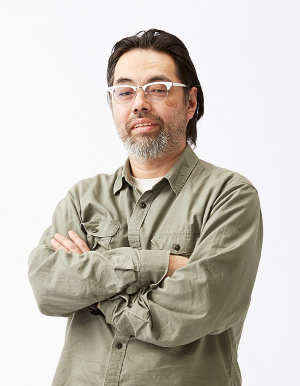 Sugiyama-san: We didn’t really have a concrete process for this, we just focused on making something that users would naturally want to go on to purchase, rather than making something that keeps asking for payment during play. Can you share with us the kind of buying patterns you have seen? Have the premium subs been popular? Can we expect to see more? Imamura-san: The premium subs are extremely popular and we’re planning on making more in the future. Subs with powerful torpedoes are really popular too as they can be used for making long range hits, but recently the U-boat is being used quite a lot as well. What drove the decision to use a first-person viewpoint over the side-on view seen in the 3DS original? Sugiyama-san: In the beginning, we did test out the side-scrolling view based on the system in the original title. It was fun in its own way, but it lacked that certain something, so we went back to the drawing board. We tried playing the “Periscope Strike” mode again, and ended up testing a system where you could move around like this. At first it was a very simple movement system, but as we refined it we arrived at the system you see in the game today. The inclusion of equivalent touch and physical controls clearly supports players of various abilities, but can you share your preferred control methods, as individuals, and explain why you like that option? Sugiyama-san: As you get used to the game, you’ll end up using the periscope a lot more, and I personally turn on motion controls in Options. That way, you can control the periscope just by tilting the Nintendo 3DS. Once you get used to it, it’s really useful in combat! Were there any particular challenges or considerations when producing the online multiplayer component? Sugiyama-san: The rule for most FPS games is that when you die, you respawn. We intentionally made it so there is no respawn here, and so if you die you have to watch the rest of the battle, but can still cheer on your allies, or send them advice via Morse code. The FPS is a genre which has arguably been more popular in the west than Japan. If this title succeeds, do you see FPS games becoming more prominent and popular on Nintendo hardware? Sugiyama-san: The game has been especially popular with our Japanese users, and I feel we’ve found some hints for what makes an FPS that Japanese gamers would enjoy. We hope to continue this line of inquiry and investigate what makes an FPS that’s fun for everyone. We noticed that Peppy Hare from Star Fox has a cameo in this title - what was the reasoning behind adding him in? Is this game set in the same universe, as some fans have assumed? Imamura: At first, we had some dodgy salesman character acting as a guide, but this turned out to be a bit too shady. Instead we looked for a character that users are more familiar with and gives off a nicer impression, hence we went with Peppy Hare. I’m sorry to say though that there’s no connection to the Star Fox universe. Could we see this free to play approach applied to other eShop releases in the future? Will more free to play games also be introduced on the Wii U eShop? Sugiyama-san: I’m afraid we can’t comment on this at present. We'd like to thank Tadashi Sugiyama, Takaya Imamura and Giles Goddard for their time, in addition to Nintendo UK for arranging this interview. I am still playing this one. It's the biggest compliment I can make to it. I really hope to see more of this in the future, would love to have an upgraded version on Wii U.
I stopped playing after the free subs just weren't cutting it anymore in multi. I'd have purchased the premium content to gain some advantage and continue the fun that is had here but my 'games to buy' list if full at the moment. I will return though when there is a lull in my purchasing as it's indeed great little title. I was totally obsessed with this game for about 3 weeks but the small number of multiplayer maps finally grew old and capped the amount of enjoyment I could get out of this game. Still, totally worth the $10 I spent on the full version. More stuff like this Nintendo! Yeah I can tell that this game is really fun! I have been trying to get into this game, but I guess the online multiplayer focus turns me off. That and many other games vying for my time. Played the free version once, then put it down and never returned to it... just not the target audience i suppose. I went in wanting to keep the free version as a quick pick up and play job, but I found it so fun that I went premium. I haven't even tried going into multiplayer yet. @Klimbatize IT'S ☆Pete!!!!!! WASSUP DUDE!!! Does anybody remember me? Obito? The guy who constantly has Internet Dis-connections during battle that ruins my win streaks? I'm also the guy who rages whenever I'm about to sink someone, but this other dude comes and takes my sink after a single shot. @Obito_Tennyson Disconnections don't ruin win streaks. They fixed that with the first update nearly two months ago. Only losing or intentionally disconnecting (turning off wireless) does. @Pete-Trax Yo Pete! Excited for the May update? I'm hoping for some better subs than the Walrus to reward the high level, premium players. Good game. Needs a content update at this point to keep the early players interested though. More maps and dlc subs would be great. Leveling past 41 is pointless, as there is no benefit after BW is unlocked. That kinda bugs me. Feels like your playing a good beta version, but you know it could be so much better. Edit: Nevermind the above complaints. Thanks to devs! I just checked in with miiverse and read about V.2 coming in May. Cant wait! Well, at least they confirmed that Peppy Hare was indeed the character depicted in-game, even if it is Bizarro-Peppy. You should have asked him about the upcoming map for the May update. @brokenfang Yo It's me Pete from Miiverse!!! I know you!!! Momo joins the battle. Looking forward to the update. Hi @Pete-Trax , @Obito_Tennyson , And @Klimbatize my brother in Fluƒƒ. The best Nintendo on-line game ever by quite some way for me. I`ve retired for a while to play pocket football but I`ll be back. Great article Nintendolife for such an amazing game. By the way.... Has anyone out there got better than my 64 winning streak? Anyone else think this game would be great on the Wii U as well? Fantastic game, online is a riot. Will go premium very soon, I think. Or at the first sale. It should've had a friend battle mode. I'm suprised you didn't ask about why it wasn't in there. I'm so happy that this game has done well. I love when Nintendo experiments with stuff like this. I hope Rusty's Real Deal Baseball has done well too. This game is awesome but I want to see a real fps like call of duty on the go that would be cool. @WYLD-WOO Do you have miiverse? If so please find me on miiverse and post your Combat Record on one of my posts. ThankYou!!! Yeah... I`m on Miiverse and always post my combat record updates on the Sub Wars community. I`ll post for you, no problems. I`ve searched for you on Miiverse but can`t find you. The search engine is very case sensitive on there. What is ur exact user name on there? Or follow me on Miiverse and ur see my latest post showing my combat record. Greetings, comrades. I hope this update includes multiple map-Ssuh, plural, but I'll be grateful for any new add ons, and hope more updates are on the way. Hi Pete! should be a great update. Cant wait! I'm with ya on that one. I would double dip for this if they ported to Wii U. @brokenfang I hope so too!!! I'm lv99 so I am expecting a good sub!!!! @brokenfang I would double dip for a Wii U version too. Hey guys! ☆Pete, why will nobody subscribe to my Youtube? Could you please subscribe to me, I already subscribed to you. My channel is called "Kevin Brobst", and it's the one with the animated version of me as it's profile picture. @Klimbatize kilmablitz! I got banned! and no, I wasn't being religious, I was encouraging BB. I am watching the temple post and the my activity feed. Remember I am still watching. I suggest caleb be promoted to XO in my absense. If u would can u relay a speech I will give on here soon for the miiverse? tell them I still listen and care!